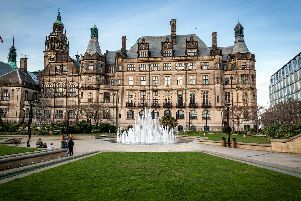 The weather in Sheffield is set to be brighter today, as forecasters predict sunny spells throughout most of the day and warmer temperatures. This afternoon will then see sunny spells throughout, with the temperature increasing to its peak of 11C by 2pm and remaining so throughout the afternoon. This evening will become quickly dark, with the temperature dipping to 6C by 9pm. Overnight temperature of 3C.